Round Diamond Engagement Ring in Platinum | Shane Co. This sophisticated channel-set engagement ring features ten round diamonds, at approximately .52 carat total weight. Each sparkling stone has been hand-matched for brilliance and sparkle. The diamonds are complemented by a superior platinum setting. 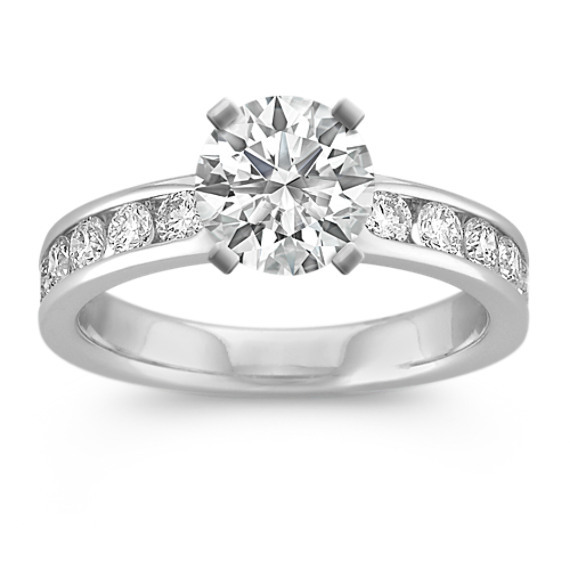 Simply add the center diamond of your choice to personalize this classic setting.